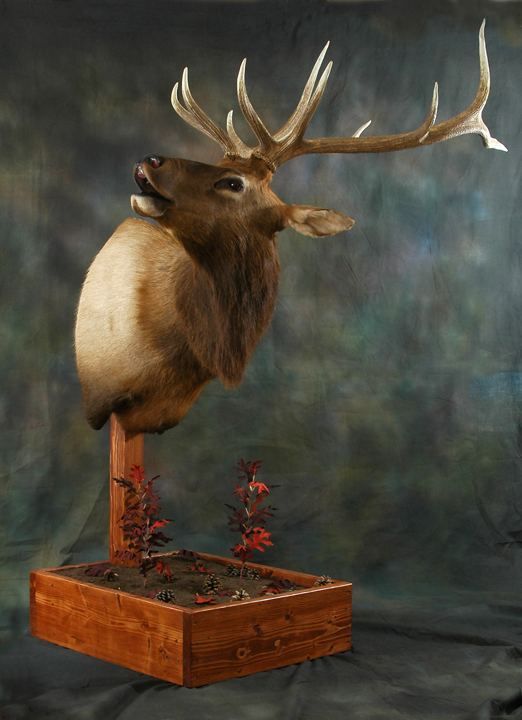 Game Heads can be mounted in a large variety of poses. Typically they hang on the wall, but can be mounted on a pedestal base that can sit on a table, shelf or the floor. 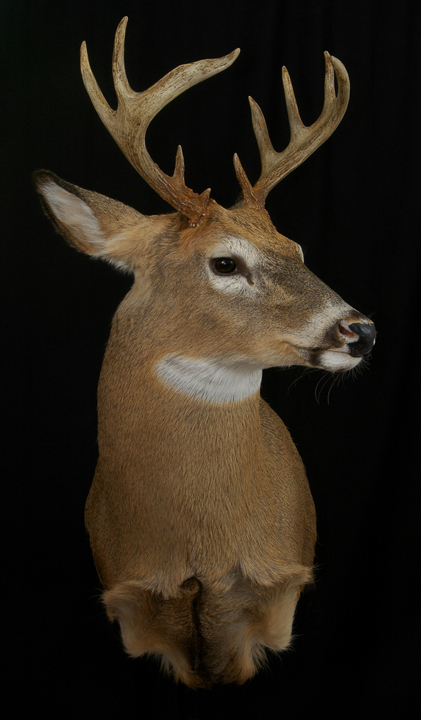 Choose from full upright to full sneak poses facing left, right or straight with the ears back (relaxed) or forward (alert). 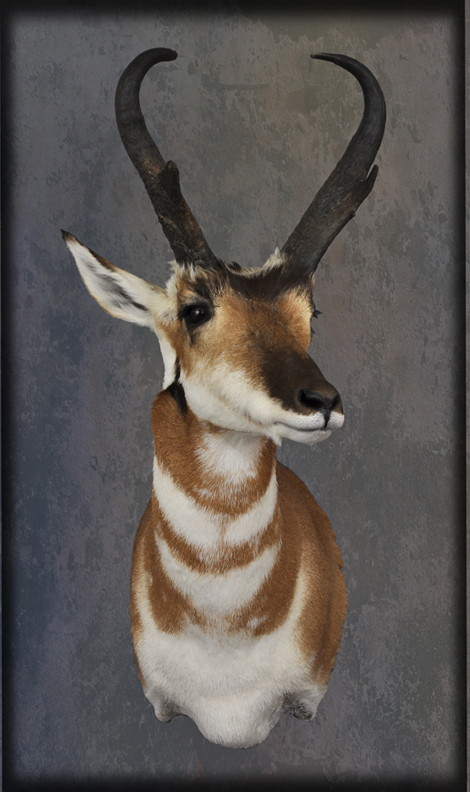 Open mouth flehmen and bugling poses are also options. 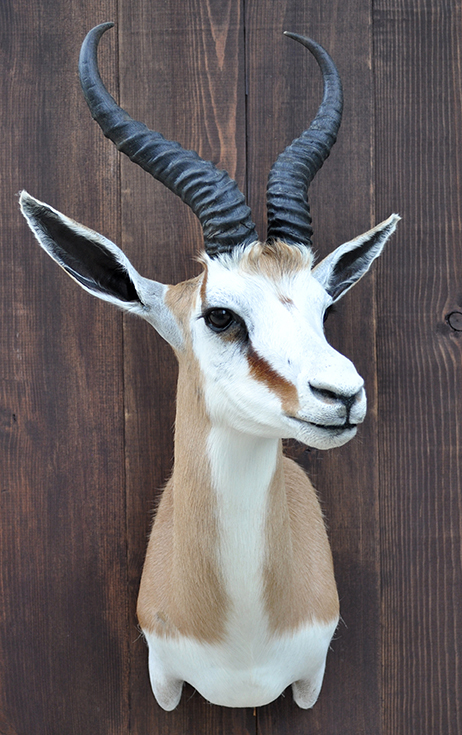 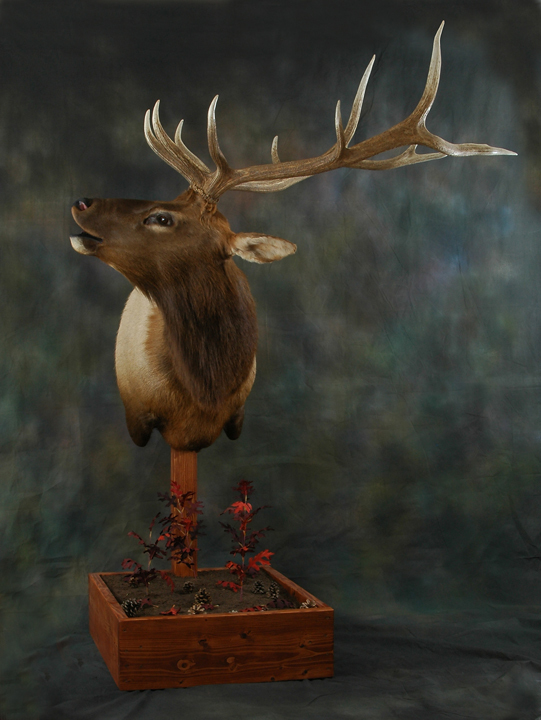 Mounts with very large head gear may need special wall clearance forms or poses. 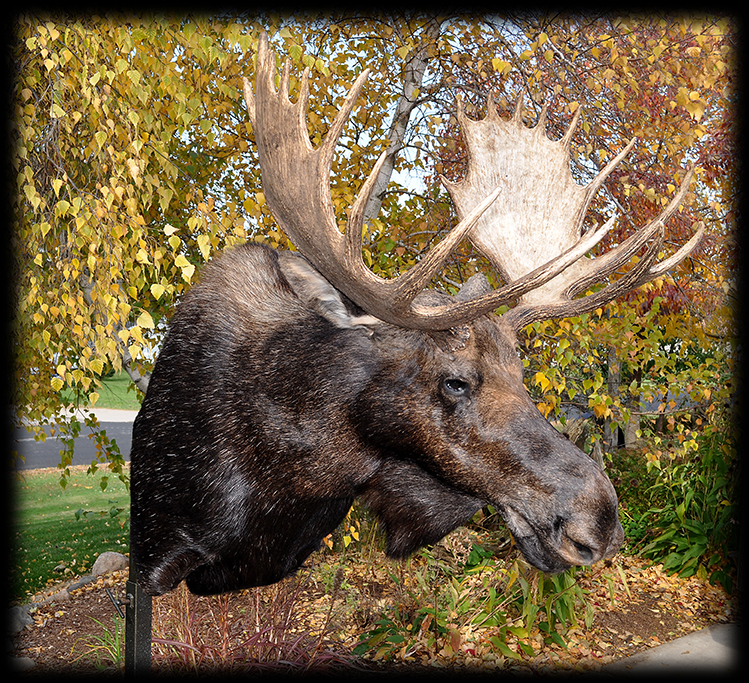 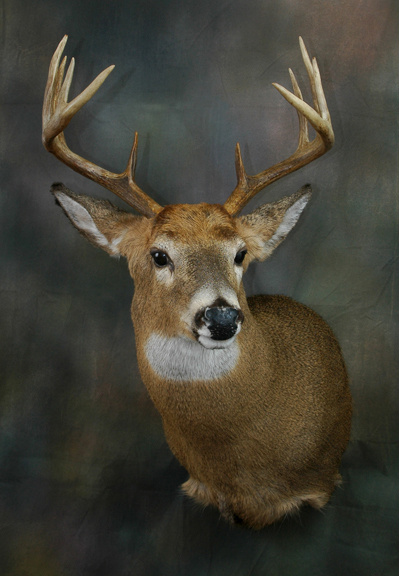 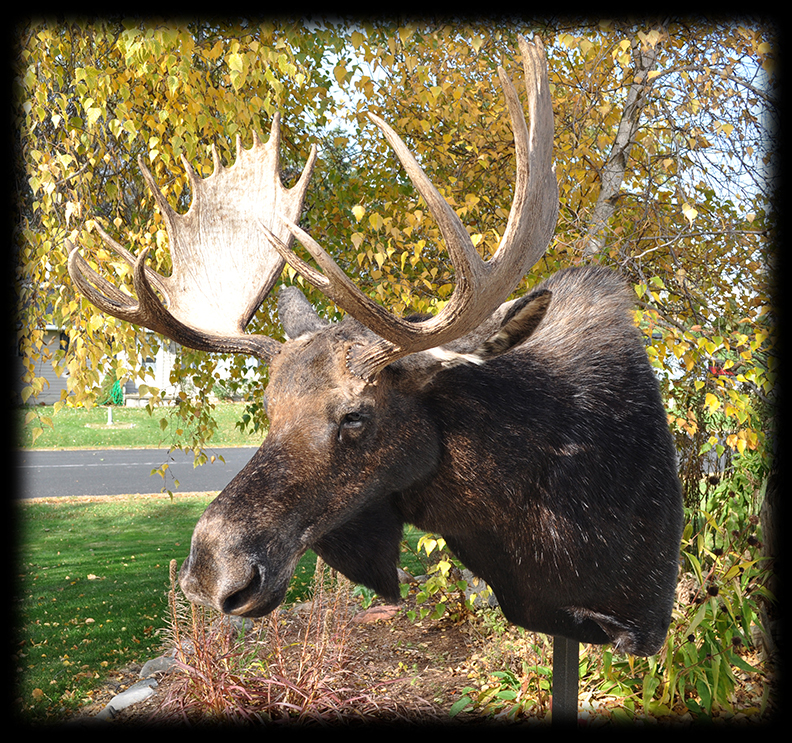 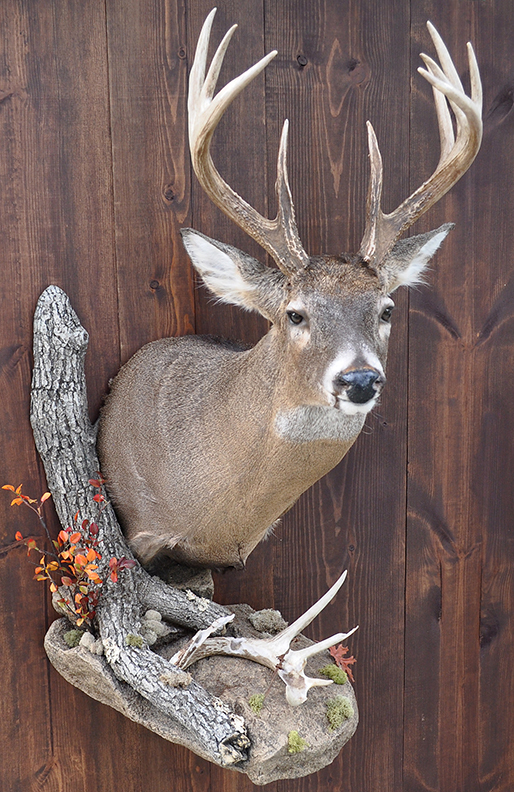 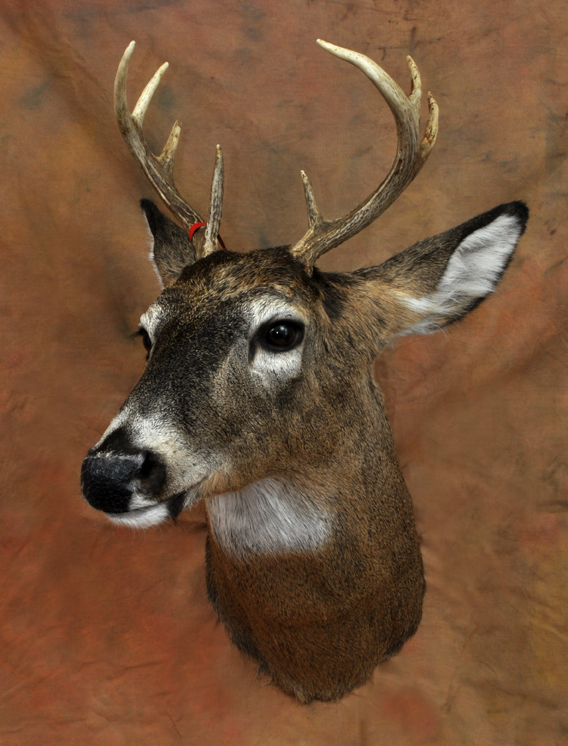 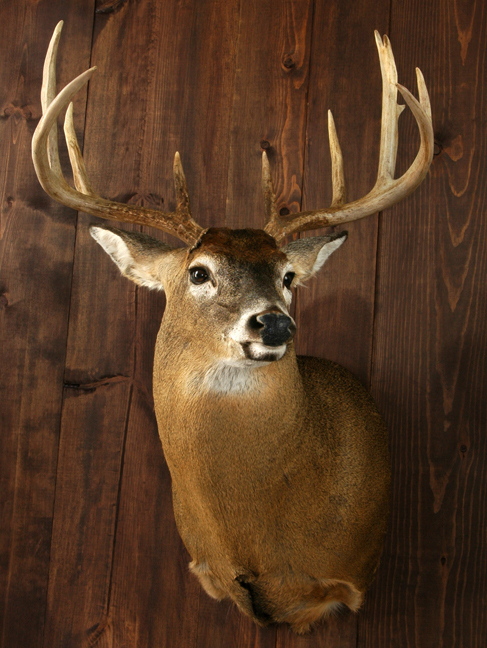 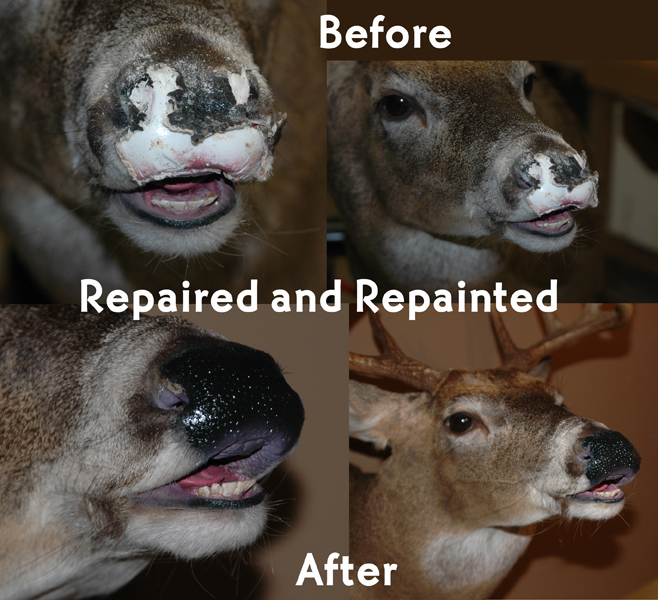 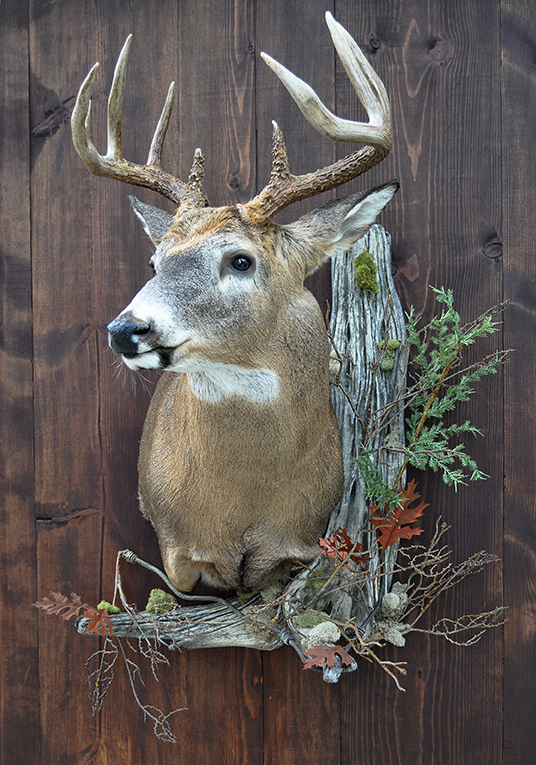 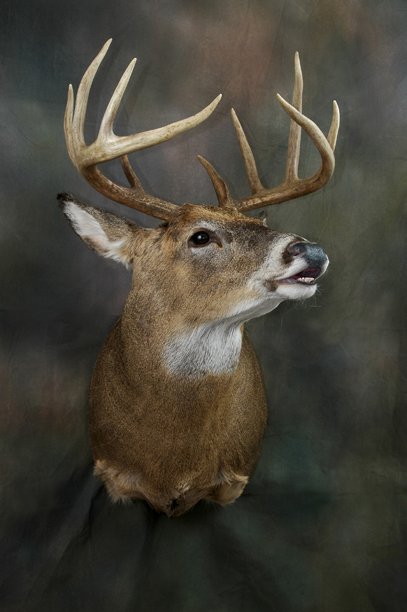 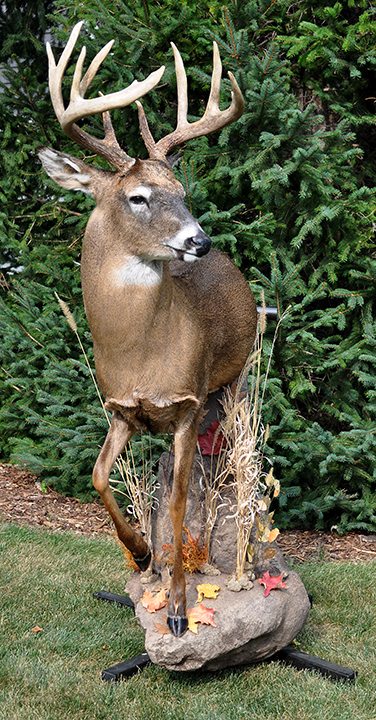 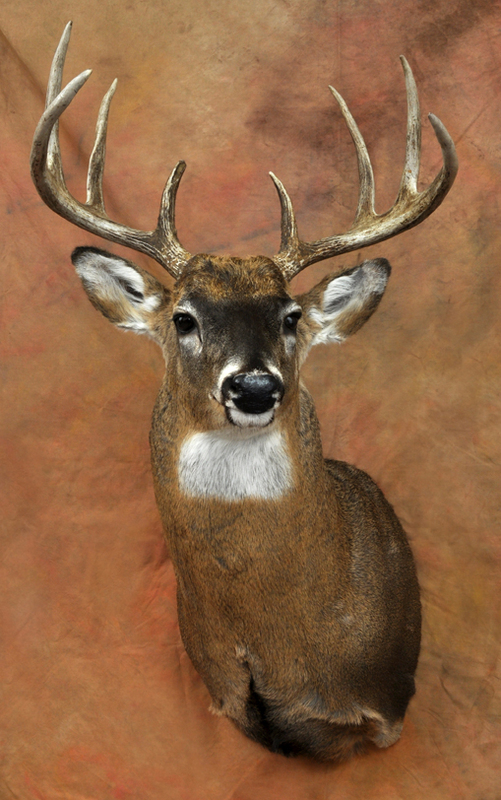 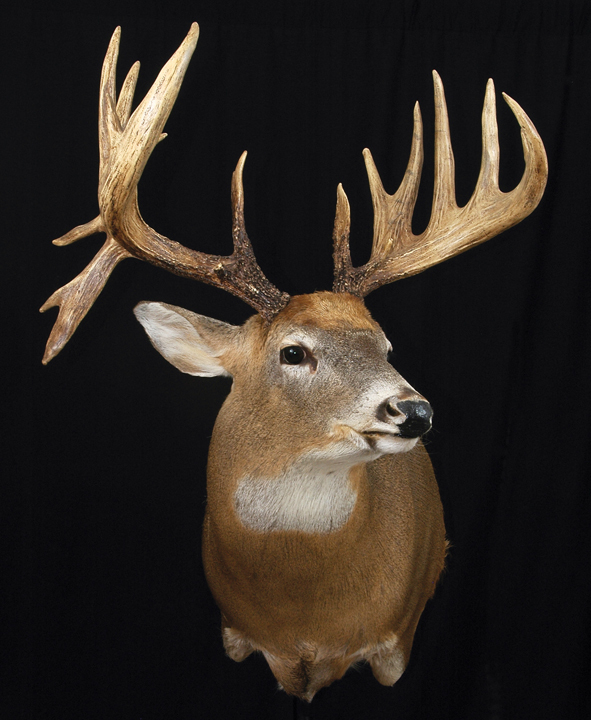 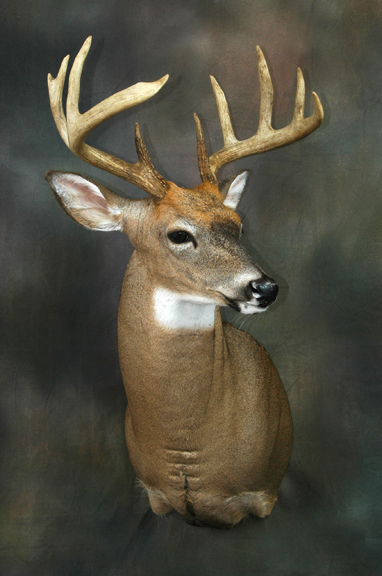 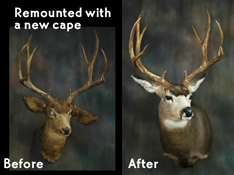 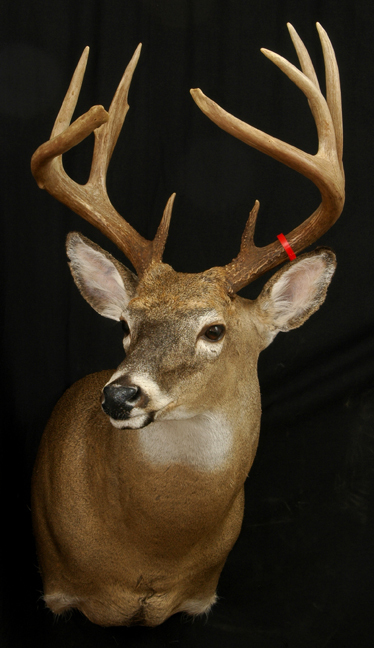 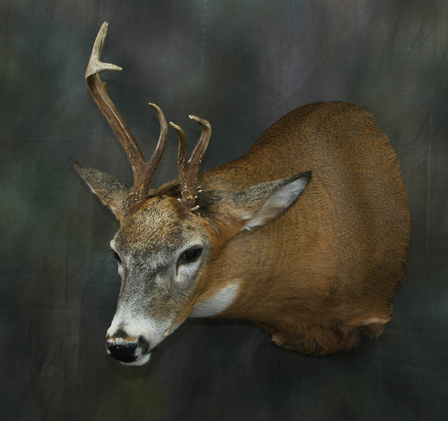 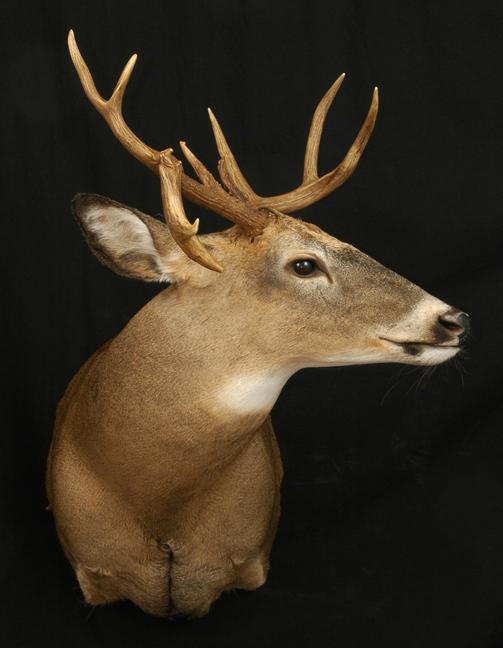 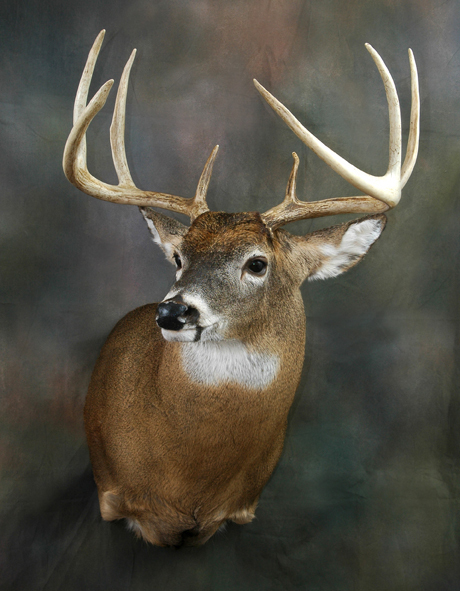 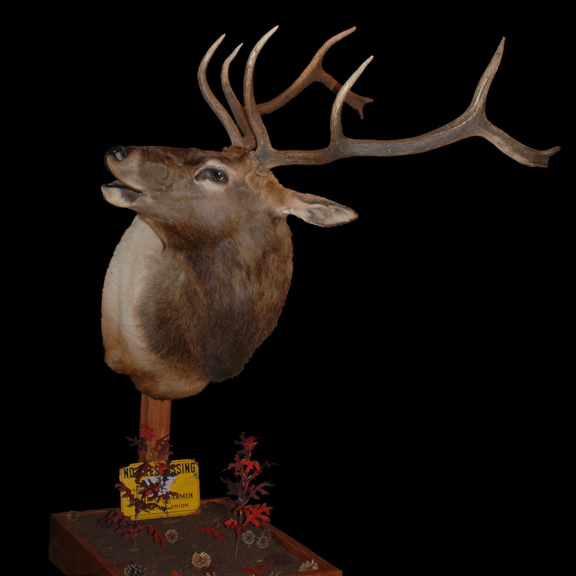 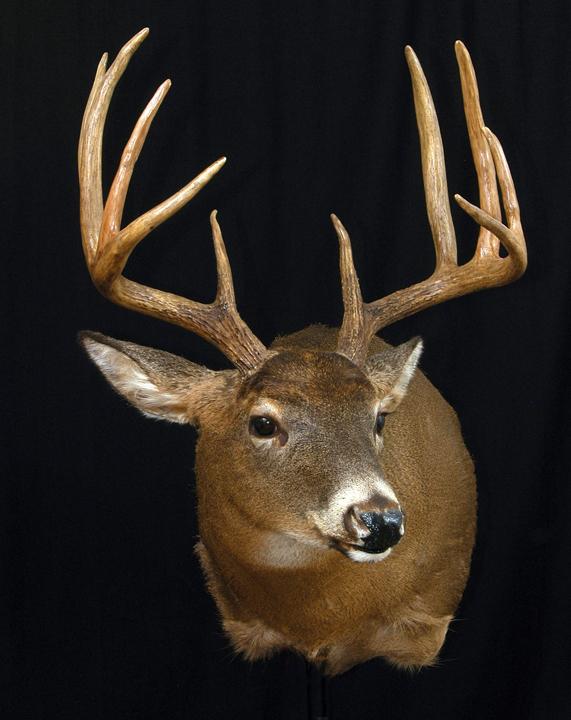 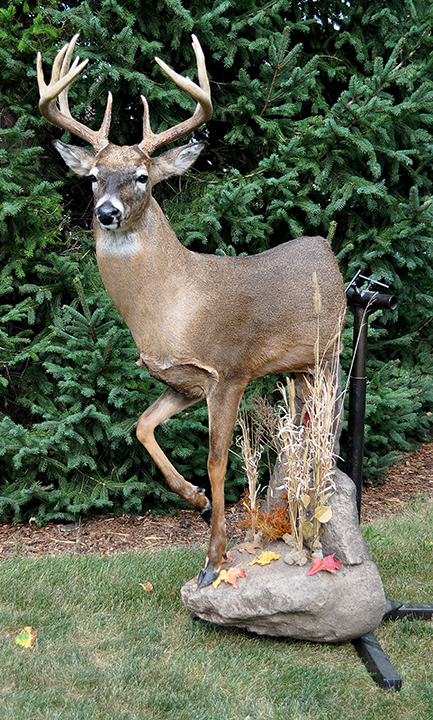 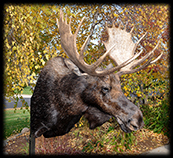 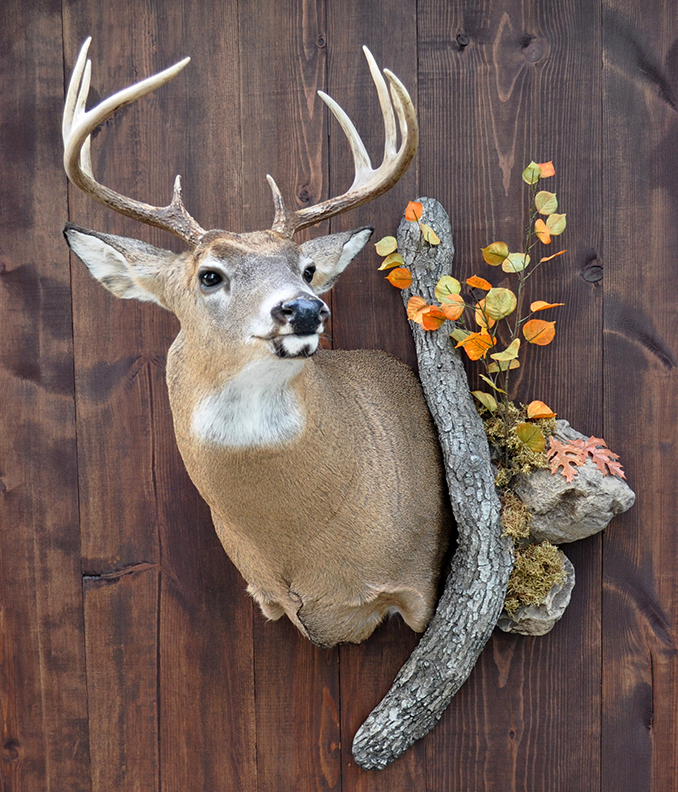 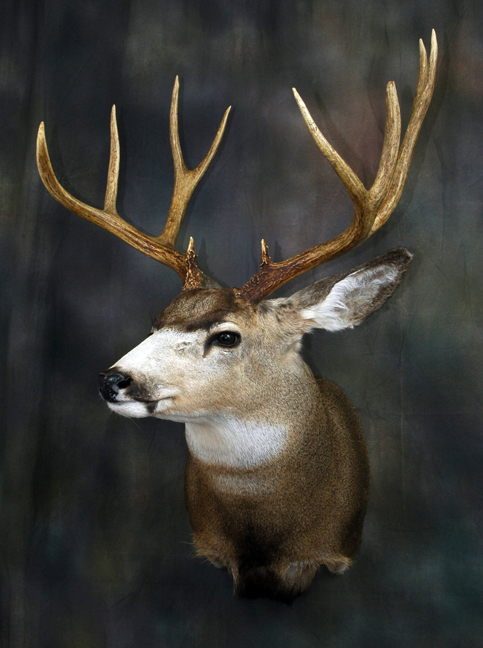 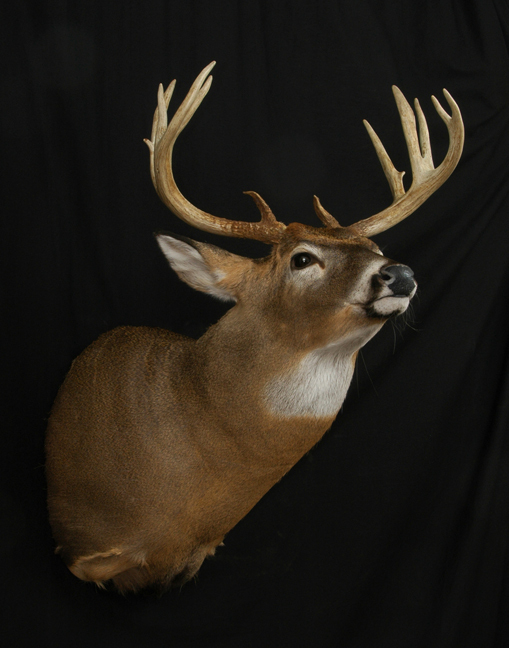 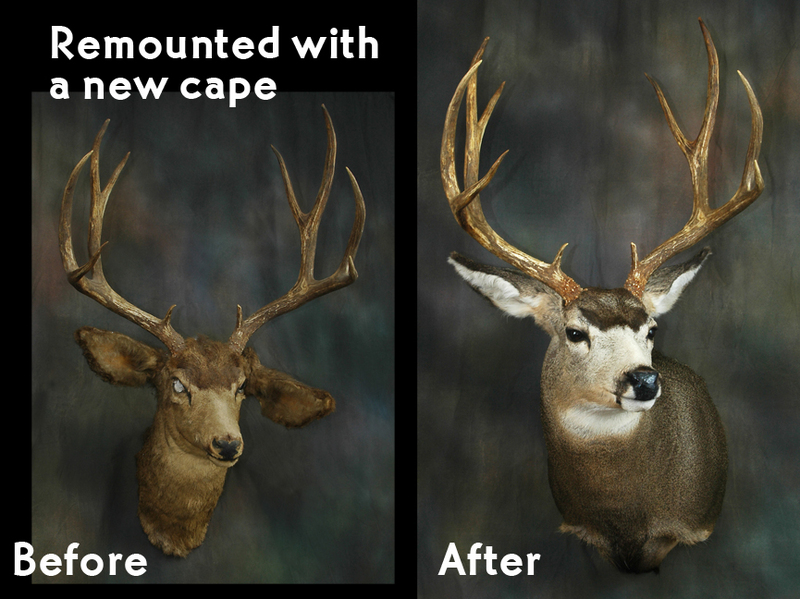 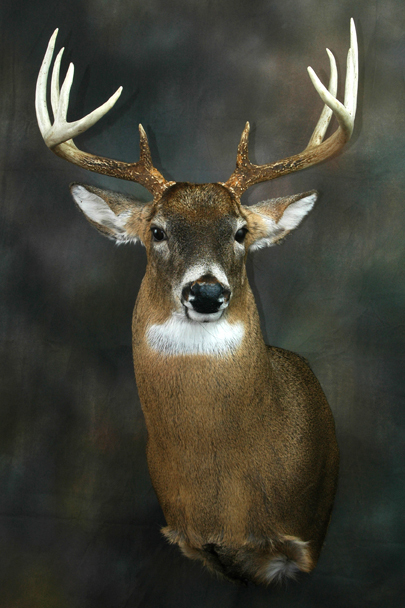 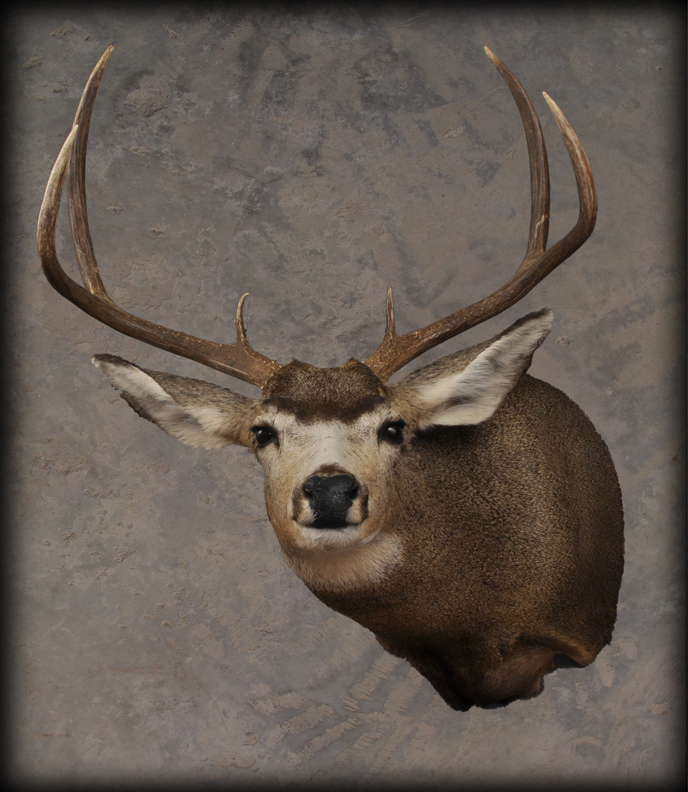 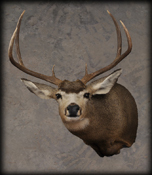 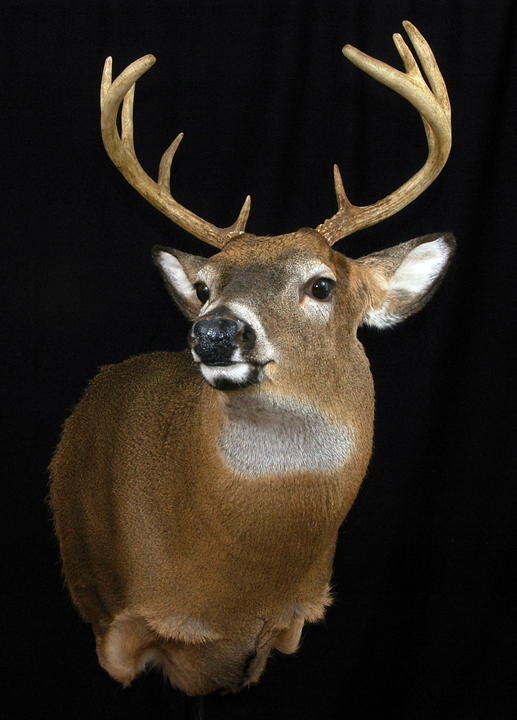 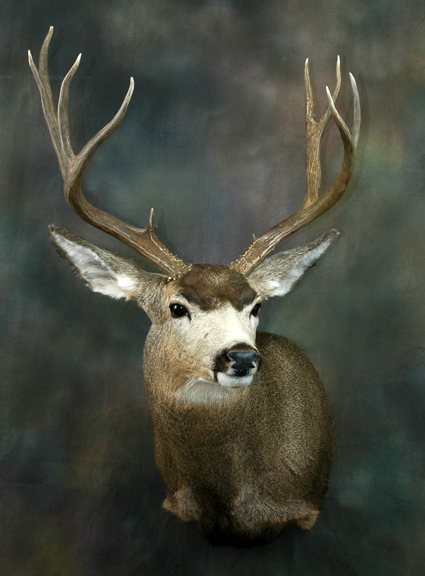 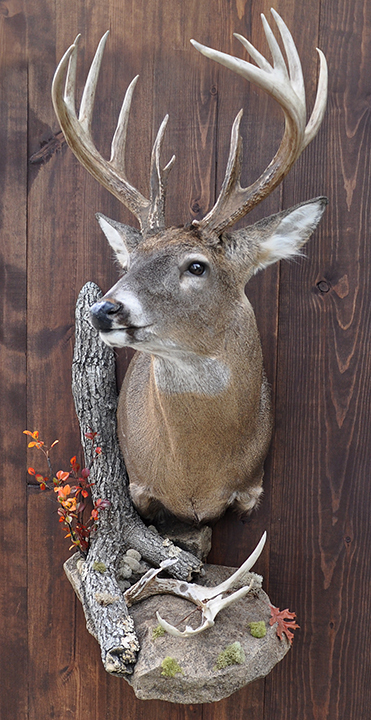 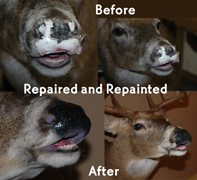 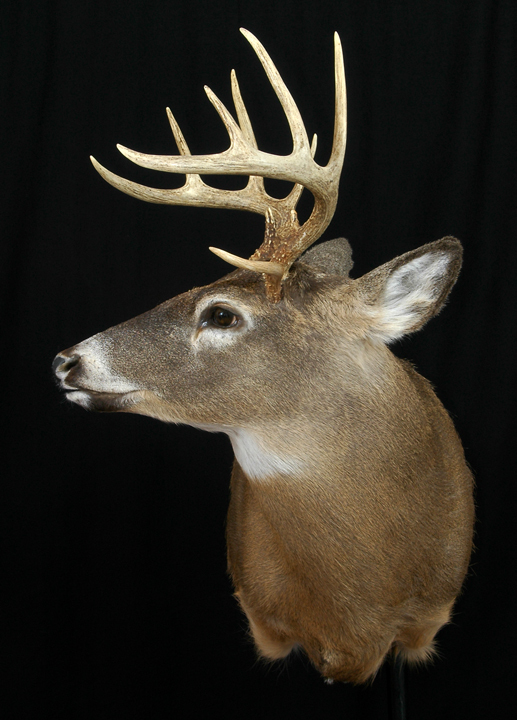 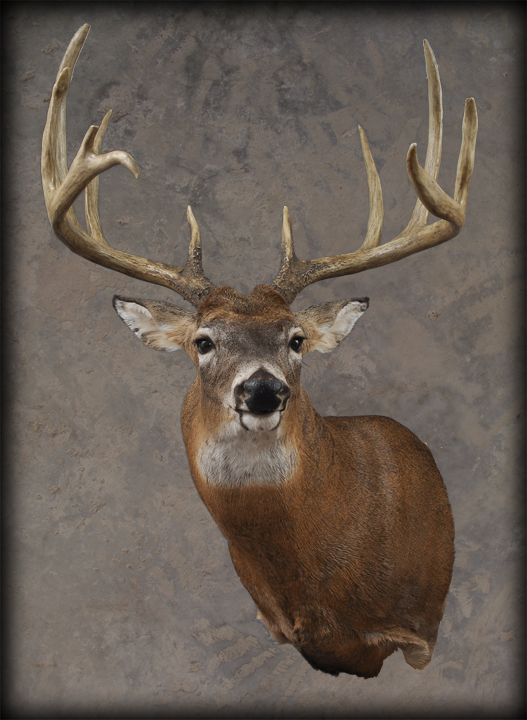 Removable antlers on antler pins make it easier to transport large mounts.